What will Call Management & Recording capability do for your business? Review call handling performance of your staff. Can inactivity & sales output be improved? Identify improvements that can be made throughout your operations. Record calls for verification purposes/disputes, customer care & compliancy. Track the inbound phone response from marketing campaigns. 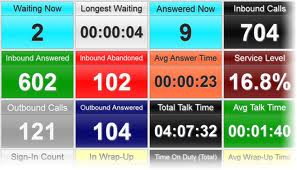 Monitor the time it takes for customer calls to be answered,. Review how many calls are being handled and the length of each call. Discover when service demand peaks and schedule staff accordingly. Compare carrier billing against logged calls to ensure accuracy. Identify areas where call costs are excessive and/or need to be reduced and ensure that only the required number of trunks are in service. Correctly apportion phone costs to the right cost centres. All our solulitions are FSA approved. We are FCS approved. As part of staff/customer/supplier disputes. Trace calls as verification of claims made by the parties involved. Monitor employee usage of the company phone system. Where account codes are in use, accurately bill the customer for calls made and received on their behalf.